For 33 years, the City of Austin’s Art in Public Places program has worked with artists — some local, others national — to create eye-catching works of public art around the city. Along with permanent installations like the variety of art pieces planned or already in place at our new Central Library (check out those glowing-eyed owl statues at the bottom of the page), the program’s TEMPO initiative sets out to “enrich civic dialogue, cultivate tourism, and activate public spaces in unexpected ways” through the creation of temporary art installations around Austin. 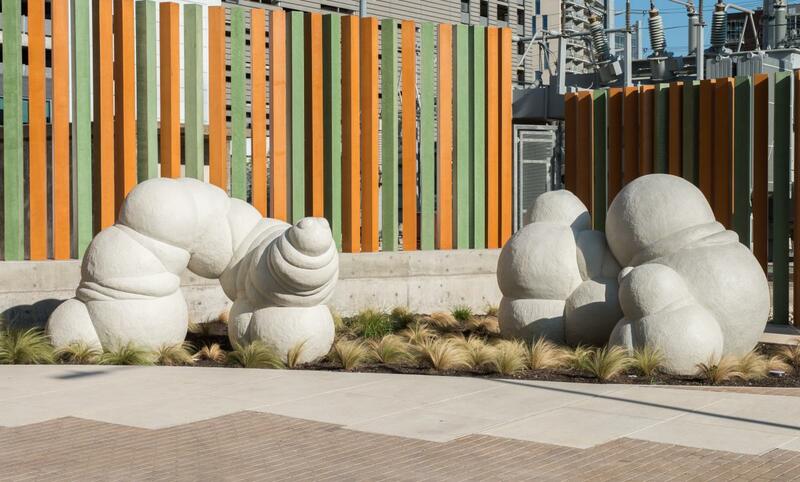 We like some of the pieces commissioned by AIPP more than others, but hey, everyone’s a critic — and in a world with more than its fair share of terrible public art, it’s nice to see locals doing a variety of interesting stuff with the TEMPO programs. In fact, we’re such advocates for these kinds of creative initiatives, we’re going to make you a deal: The first person to visit all 12 of the sites on this map, take a selfie in front of each, and send them to us on Facebook, Twitter, or via email at austin@towers.net will receive a $50 gift card from us to either Royal Blue Grocery or the Soup Peddler — your choice. Good luck!